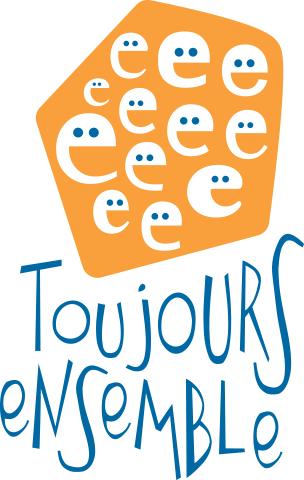 Toujours ensemble (Te) was founded in Westmount in 1979 and has been in Verdun since 1986. Over the years, the organization has adapted to the realities of a population in an ever-changing neighbourhood. Here are some highlights that have marked the organization’s history. Darlène Biron creates the organization. Start of the summer day camp. The organization relocates to Verdun on 5th Avenue. Launch of the emergency food assistance service. Launch of the school lunch service in collaboration with École Notre-Dame-de-Lourdes and École Lévis-Sauvé to provide lunches for children who live in disadvantaged environments. A major fire destroys the Te building and all of the organization’s equipment and materials. Eight months after the fire, Te inaugurates its nw and larger centre that is better adapted to the needs of young people and the neighbourhood. Launch of the homework assistance service. The Toujours ensemble Foundation is created and becomes responsible for securing part of the organization’s funding. It also hand out bursaries. Te adopts a new visual identity. Start of major work and the addition of a floor at the Centre Carolyn Hayes Renaud. Launch of the Passeport pour ma réussite program, whose mission is to encourage academic perseverance (first Quebec site for the national initiative of Pathways to Education Canada). New website launched : www.toujoursensemble.org. Te grows! Early steps to expand and build what will become the Centre de persévérance scolaire Marcelle & Jean Coutu. Inauguration of the second building at 601 2nd Avenue, which will later become home to the Passeport pour ma réussite program. Launch of the new Sac à dos program.